With most flagship smartphones are leaving no space for the antique 3.5 mm jack, we are left with just a few options to add external speakers and headphones or earphones to our small favourite smartphones. There is always an option to add USB Type C earphones, but such an earphone will be limited only to your smartphone. 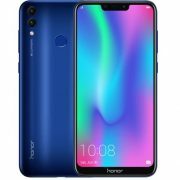 But if you can grab a budget Bluetooth speaker, headphone or earphone, you can always expect a better performance and can get unmatched compatibility, if compared to USB Type C earphones. 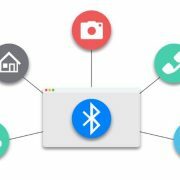 Moreover, for the last few years, the audio quality of Bluetooth devices has become far better and Qualcomm AptX HD has taken the audio quality of Bluetooth devices to a whole new level. Since Android 8.0 or Oreo, the media volume and Bluetooth volume controls are synced together. What it means in simple words is that increasing or decreasing the volume from both the Bluetooth device and the smartphone will increase or decrease the volume on both the smartphone and the Bluetooth device. Though handy, most users might want to get rid of this functionality as it might not allow the user to fine-tune the volume in the most appropriate way. 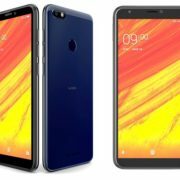 There are 15 volume levels on Android Oreo and Android Pie, but having an independence of controlling the volume on both the smartphone and the Bluetooth device is really useful. This functionality is enabled by default on devices with Android 8.0 or Oreo. But just in case, it is not available for you by default, or you want to get rid of this, there is a way out. 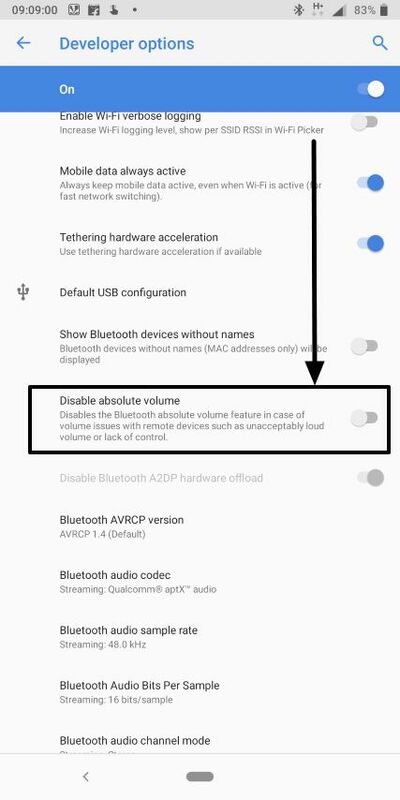 So let’s get started with how to enable or disable volume control sync between Bluetooth audio devices and a smartphone. Go to ‘Developer options’ and scroll down to find out ‘Disable absolute volume’. You can read this article to know how to enable ‘Developer Options’ on and Android. This feature should be disabled by default. On enabling this feature, you can control the volume on the Bluetooth device and Android device independently. 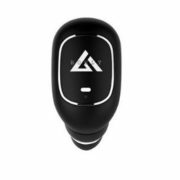 Just in case it is enabled, and you want to seamlessly control the Bluetooth audio device and device’s in a synchronized manner, you can disable this functionality. This isn’t going to make it way better to use your smartphone or going to change your digital life in a whole new way, but this is definitely helpful. Hope the small information was helpful for you. Do you have any questions or faced any issues? Feel free to comment it down below.